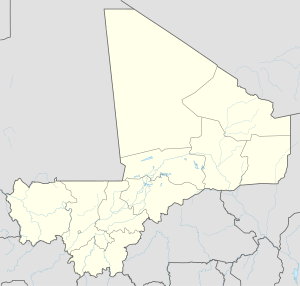 Deboye is a commune of the Cercle of Youwarou in the Mopti Region of Mali. The commune contains 24 small villages. The local government is based in the village of Guidio-Sarre. In 2009 the commune had a population of 21,776. Plan de Sécurité Alimentaire Commune Rurale de Deboye 2006-2010 (PDF) (in French), Commissariat à la Sécurité Alimentaire, République du Mali, USAID-Mali, 2006 . This page was last edited on 7 September 2017, at 17:30 (UTC).